Members earn 180 points with this purchase. With a thin, lightweight construction that breathes efficiently and dries in a flash, the Hike Liner Crew is a ultralight yet durable sock perfect for weekend hikes and lightweight backpacking trips. This sock features a technical blend of soft merino wool, durable nylon and stretchy LYCRA® for the ultimate combination of performance. Support zones in the Achilles and instep add stability, a breathable zone over the forefoot controls moistures and reinforced wear areas improve strength and durability. 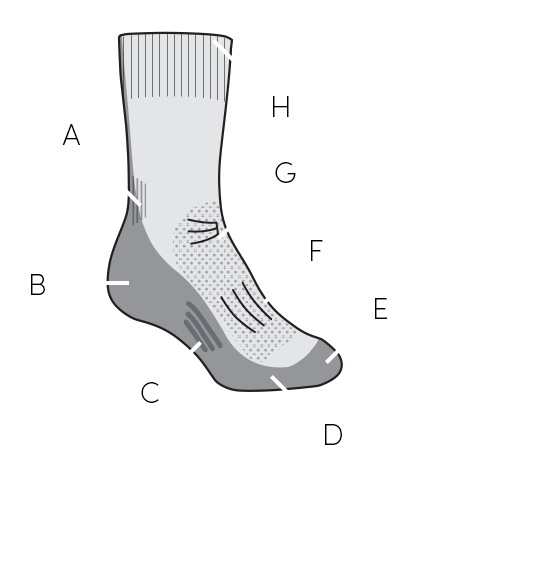 All Icebreaker socks come with a lifetime guarantee. If they ever wear out we’ll replace them with a new pair - no questions asked.